Richard Diana, M.D., author (with Sheila Curry Oakes) of "Healthy Joints for Life: An Orthopedic Surgeon's Proven Plan to Reduce Pain and Inflammation, Avoid Surgery and Get Moving Again" (Harlequin trade paperback, 352 pages, illustrations, appendixes, index, $17.95) is unique in the history of both pro football and medicine: He's the only board certified surgeon to have played in Super Bowl XVII. He was a running back and special teams player for the Miami Dolphins under legendary Coach Don Shula. Diana's book is fun to read -- something I never expected from a health and medicine book-- as well as informative and potentially life saving because of his anecdotes of his playing days for one of the best coaches in NFL history. His patients want to know everything about a real college student athlete who was drafted by the NFL and played for the legendary Ohio native Don Shula. Now 84 and retired, Shula was renowned for his no-excuses approach to football, and life in general, Diana writes. From what I gleaned from reading this very accessible book, the good doctor has adopted Shula's philosophy whole hog. Dr. Diana's eight-week plan for treating for treating joint pain and arthritis is unusual for a surgeon because it relies on exercise and especially diet modification to make life more comfortable for joint pain sufferers. In my experience, surgeons think about surgery 24/7, so it's refreshing to find one who believes it's best to try non-surgical approaches, leaving the surgery as a last resort. Based on cutting-edge research that has clarified the crucial role of a molecule known as NFkB in regulating inflammation, Dr. Diana's proven eight-week program teaches you to harness the power of this research to reduce inflammation, relieve pain and rejuvenate your joints. Dr. Diana explains the science behind joint pain and tells us what foods to avoid. I wasn't surprised to find an emphasis on healthy foods like wild salmon and colorful vegetables. Avoid what I call the South of the Mason-Dixon Line Diet, where everything you can imagine -- and somethings you couldn't imagine -- is fried and you're well on your way to reducing the inflammation behind joint pain. Drink green tea instead of coffee (ouch! I love coffee, but I know I drink too much of it), cut out sugar, increase your fiber and reduce your carbs, etc. etc. Dr. Diana tells all! I must be either lucky or doing the right things all along -- or both -- because in my mid-70s I have no joint pain. When everybody was running, I said "No, thanks" and walked a lot, something Diana says is good for you. I more or less (more now, less in the past!) watched my diet. On the advice of my cardiologist, I've dropped about 30 pounds and have kept those pounds off for nine months now. When I lived in Wisconsin, California and West Virginia, I would cross country ski whenever I had a chance. The original form of skiing, cross country or Nordic avoids the joint stress of Alpine or downhill skiing. It's to walking what Alpine skiing is to running, I like to say. Nordic skiing is probably the most aerobic exercise you can do and you can get exercise equipment to simulate that exercise in your home -- but only if you consult your doctor. Joint pain strikes people of all ages, so get your hands on "Healthy Joints for Life" and practice the exercises and dietary recommendations the "Jock Doc" provides in this fun-to-read book. RICHARD DIANA, M.D., born 1960, retired from the Miami Dolphins after Super Bowl XVII to attend Yale School of Medicine. 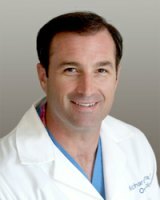 He has been an orthopedic consultant to several collegiate athletic programs as well as to the Boston Red Sox. Dr. Diana is a board-certified surgeon and has been named a Top 100 Doctor in America. He is a clinical instructor at Yale School of Medicine and attending surgeon at Yale-New Haven Hospital.